Sahai Prem Kaur is committed to share her deep love and passion for continued self-growth to inspire others to empower themselves and shine their souls. Her biggest dream is to create a special sacred space where the beauty of nature, music, books, healthy food, animals, yoga and meditation can all come together in a sweet alchemy to serve as a catalyst for the rejuvenation and transformation of souls. Kundalini Yoga has transformed her life on every level and she considers it a gift to be able to share it with others. Atma K. Khalsa, KRI Certified, E.R.Y.T. Atma has served both Temecula and Murrieta through the Community Service Departments since 1992 teaching yoga. She has 25 years experience in Kundalini Yoga, meditation and vegetarian nutrition. Atma has been trained by the Kundalini Research Institute (KRI) and is a member of the International Kundalini Yoga Teacher's Association (IKYTA). She is an experienced registered yoga teacher (E.R.Y.T) with Yoga Alliance and and is a Professional Teacher Trainer in KRI Teacher Training Courses. Atma has attended Women's Training Seminars for 20 years that teach women to live to their highest level of integrity, kindle their sacred self and live for each other. She is a mom of two boys and writes yoga articles and helpful mommy and baby tips for magazines and local publications. She compiled the "Mommy & Baby Planner" approved by Southwest Healthcare, Temecula and Murrieta Community Service Departments and both Chambers of Commerce for distribution to new parents as a valuable resource. Atma assists you to get an experience of your true self. She supports you to connect to your soul, which is a fountain of youth, wisdom, bliss, peace and vitality. You will become strong, enlightened and peaceful. 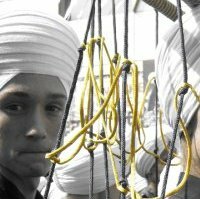 Atma K. Khalsa, KRI Certified, E.R.Y.T. 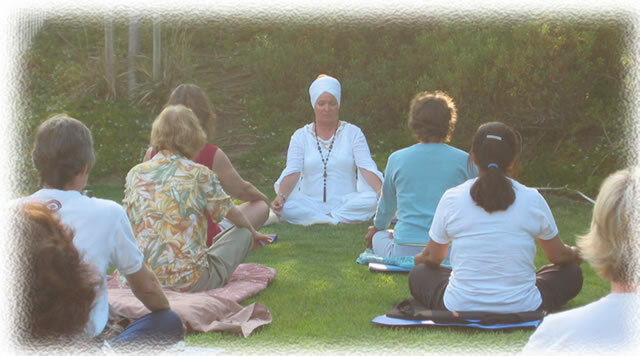 Atma has served both Temecula and Murrieta through the Community Service Departments since 1992 teaching yoga. She has 25 years experience in Kundalini Yoga, meditation and vegetarian nutrition.Atma has been trained by the Kundalini Research Institute (KRI) and is a member of the International Kundalini Yoga Teacher's Association (IKYTA). She is an experienced registered yoga teacher (E.R.Y.T) with Yoga Alliance and and is a Professional Teacher Trainer in KRI Teacher Training Courses. Atma has attended Women's Training Seminars for 20 years that teach women to live to their highest level of integrity, kindle their sacred self and live for each other.She is a mom of two boys and writes yoga articles and helpful mommy and baby tips for magazines and local publications. She compiled the "Mommy & Baby Planner" approved by Southwest Healthcare, Temecula and Murrieta Community Service Departments and both Chambers of Commerce for distribution to new parents as a valuable resource.Atma assists you to get an experience of your true self. She supports you to connect to your soul, which is a fountain of youth, wisdom, bliss, peace and vitality. You will become strong, enlightened and peaceful. Contact me at: 951-696-9063 ext. 105 or email at: atmak@objectrad.com Sahai Prem Kaur is committed to share her deep love and passion for continued self-growth to inspire others to empower themselves and shine their souls. Her biggest dream is to create a special sacred space where the beauty of nature, music, books, healthy food, animals, yoga and meditation can all come together in a sweet alchemy to serve as a catalyst for the rejuvenation and transformation of souls. 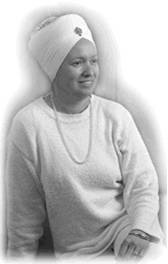 Kundalini Yoga has transformed her life on every level and she considers it a gift to be able to share it with others. Satshabad has been practicing Kudalini yoga for nine years including a four year intensive study in the city of Amritsar, India during his stay at Miri Piri Academy. He a is a KRI certified level one teacher and has experience teaching both woman's and co-ed classes.